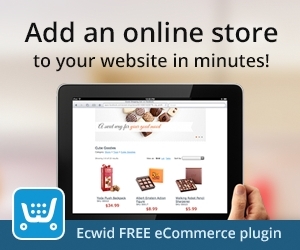 Thanks to Ecwid, you can now create a free website in just a few minutes! Check out this video below for a review and explanation on how to create your free website! Hi everyone. This is Daniella from Daniella.io and today I have some pretty awesome news! 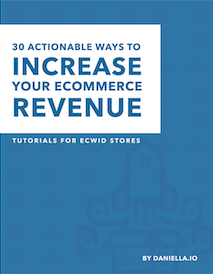 Ecwid just made their online store even better. Check it out. You can now turn your store into a full blown website, for free. They have added a cover photo section for your value proposition with a clear call to action. Right underneath you have your store, a testimonial/recommendation area, an about us section and a map with contact information. This is a very modern design you can fully customize without needing any programming knowledge. So, today we are going to have a look at how to customize this awesome new storefront that you can actually use it as a complete and professional website for free. 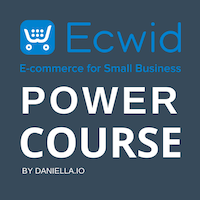 Click on the following link to create a new Ecwid store. Once you are in your store, click on Settings > General > Starter Site. Click on the Starter Site link to see what your store looks like before you modify it. Pretty cool eh. Now it is time to add your own information and products. To do so, head back over to your seller backend. Let’s start by changing your Starter Site URL. Edit the subdomain name to match your brand. You can also upgrade your account to link your business URL to your store. If you decided to keep a free account, your URL will have .ecwid in it. If you decide to upgrade (which I do suggest so it looks more professional) you can link your store to the URL you purchased for your company instead. Now, let’s edit your site’s content. Click on “Edit Starter Site Content.” All you have to do is edit all the fields. Replace images and texts by clicking in the highlighted sections. You can hide sections by clicking on the Hide Section button on the right. If you want to learn how to edit your store, please check out the course below or my Youtube channel for a five minute tutorial on how to do so. Save your work once you are done. Refresh the page and enjoy the beauty of the new website you just created!